Hey there and happy Tuesday! We had a relaxing weekend here at home... although Friday night provided us with some drama...there were tornado warnings just to the north of us. It made for some amazing cloud structure. Weather photos and clouds are kind of a hobby of mine... I think I get my photo eye from my dad. We were lucky that this cell only gave us amazing pictures!! 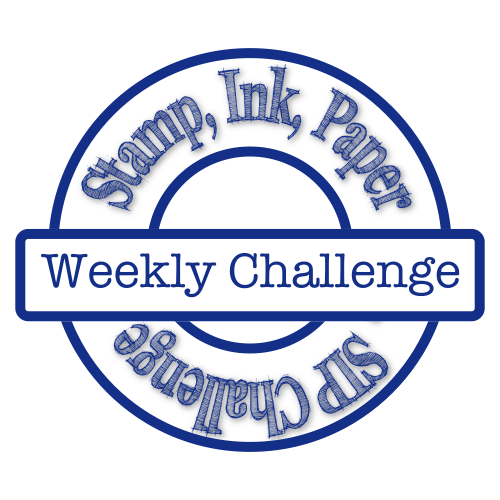 This week with Stamp Ink Paper we have a great Clean and Simple challenge! 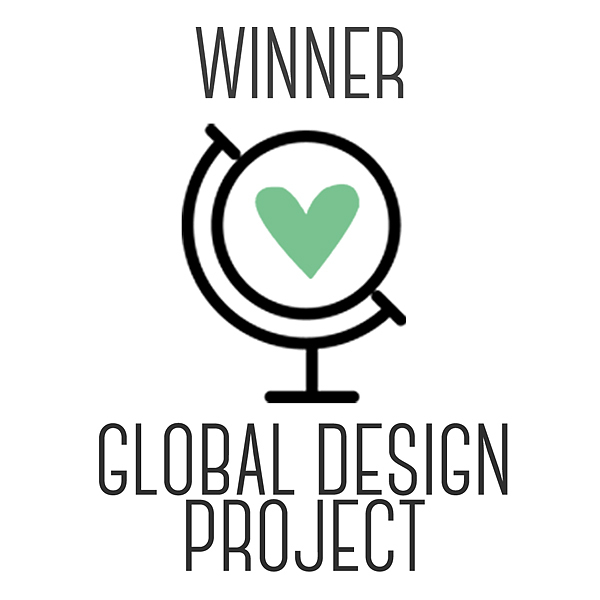 It really is the perfect challenge to introduce our guest designer for this month Jennifer Timko! She is quite the Queen of clean!!! 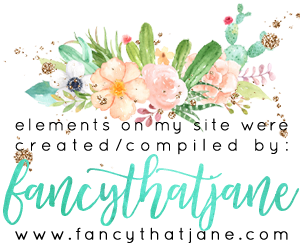 Make sure you stop by her blog and tell her hello! Clean and Simple really isn't an aesthetic I utilize enough. I mean, some cards just don't need all the bells and whistles! I kind of struggled with an idea until my AHA moment this morning! I usually start my mornings off with a cup of coffee and a FaceTime call to Justin! That usually gets the juices flowing as it did this morning. I have been trying to push myself to use colors that I haven't used recently. I am not sure why Dapper Denim hasn't been used! It is a great blue for ANYTHING. It also coordinates with the By The Shore DSP! I always purchase a share of ALL the DSP in the catalog from another demo just to see what papers I am going to love... I must say that I am surprised to say that this is a great suite! Now, I don't know that I will go all in and buy the stamp set too... The paper is amazing and is also how I created my fish! I fussy cut one of each color out of the DSP. I then proceeded in doing 2 coats of heat embossed clear to give them an epoxy embellishment look and set them aside. I've loved the Layering Love set since the first time I have seen it and much like the Dapper Denim it hasn't been used!! The fonts in this set are really fun and I couldn't wait to ink up my sentiment with my Dapper Denim ink! You'll notice that my Very Vanilla card stock is matted onto an ombre like wave pattern! This is also from the By The Shore DSP! I adhered my fish with half a dimensional each and tied a nice crisp bow in the Dapper Denim 3/8" Ruched Ribbon! Thank You so much for stopping by! I have made a list at the bottom of all the products used to make this card! 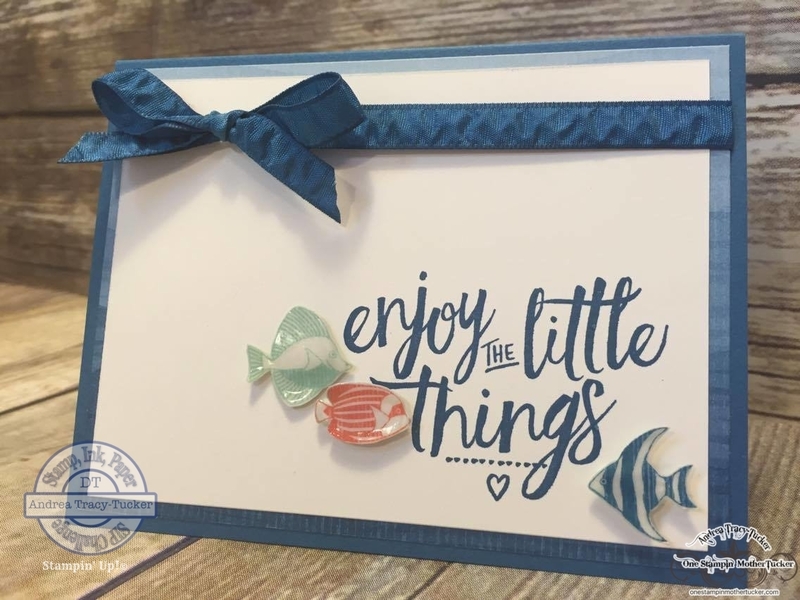 All products are Stampin' Up! unless otherwise noted!